An engagement party offers an opportunity for the happy couple to celebrate their commitment, and it can also serve as a way to announce the engagement. When planning the party, it is important to keep in mind that this is not the wedding, and both the budget and the guest list should not near the proportions of the nuptials. The party is usually thrown by the bride-to-be's family, and only close friends and family members should be invited to congratulate the couple as they begin this new phase of their relationship. Despite the fact that an engagement party is not as elaborate as a wedding, many couples want a coordinated event to celebrate their new status as fiancés. This can easily be done with proper planning and some organization. 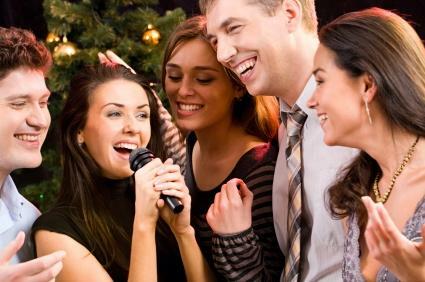 Keep some key elements in mind to make the party a sure success. Who is Invited to an Engagement Party? Party stores and the wedding sections of craft stores are filled with assorted novelty items and theme trinkets at low cost. A few well-chosen decorations help set the mood for a festive engagement party. 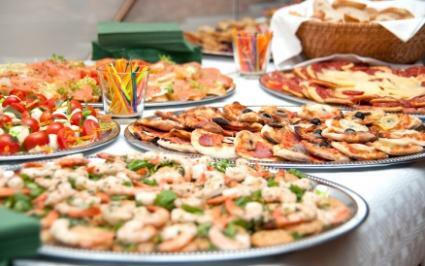 Food is a key ingredient in many social activities and an engagement party is no exception. Choosing the couple's favorite foods is a guaranteed success at an engagement party. Keep the menu simple so that no one is slaving in the kitchen instead of mingling with the newly engaged couple. A great way to do this is to use a buffet-style serving area to promote a casual atmosphere. You will also want to consider what the couple prefers to drink and if they would like alcohol to be served at the engagement party. You can offer guests a variety of options such as wine, beer, mixed drinks and, of course, some non-alcoholic options such as soda, punch, ice tea, and ice water. No matter which activities are chosen, they should be suitable to the couple's tastes and the formality of the engagement party. Since many engagement parties are informal gatherings rather than regimented social obligations, fun activities are always appropriate. Once you've taken a good look at your options, you can decide whether a formal or an informal party would suit the happy couple best. Be sure to let your guests know the party style in the invitation. 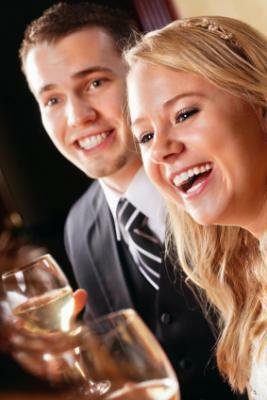 An informal party is a more casual gathering that is relaxed and not structured. This type of party can be thrown together quickly and, basically, anything goes. Informal parties work well for groups that are well-acquainted and comfortable around one another. An informal gathering is also ideal for parties where children are invited. A formal party is a more structured, dressier occasion that features a sit-down dinner. This type of party is ideal when families are being introduced for the first time, or when acquainting a new group of friends with each other. Formal parties can be pricier than informal parties so always consider your budget as you make your plans. An engagement party provides a special way to celebrate a couple's impending wedding before the flurry of planning begins. Incorporating a few simple engagement party ideas can turn the celebration into a fun event without amassing tremendous debt. Whatever kind of arrangements are made, the key is to remember that the engagement party is only the start of an ongoing celebration of the couple's commitment to one another, a celebration that should last far past their wedding day.